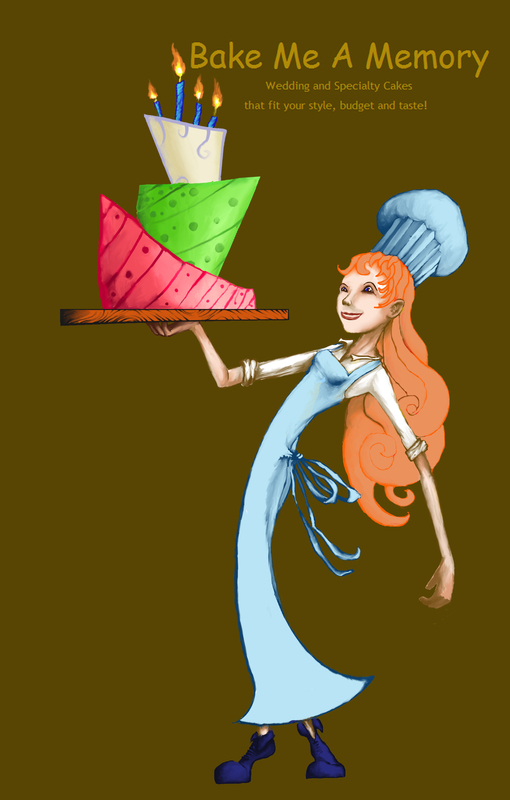 Covered in fondant. Apples are made with cupcakes. 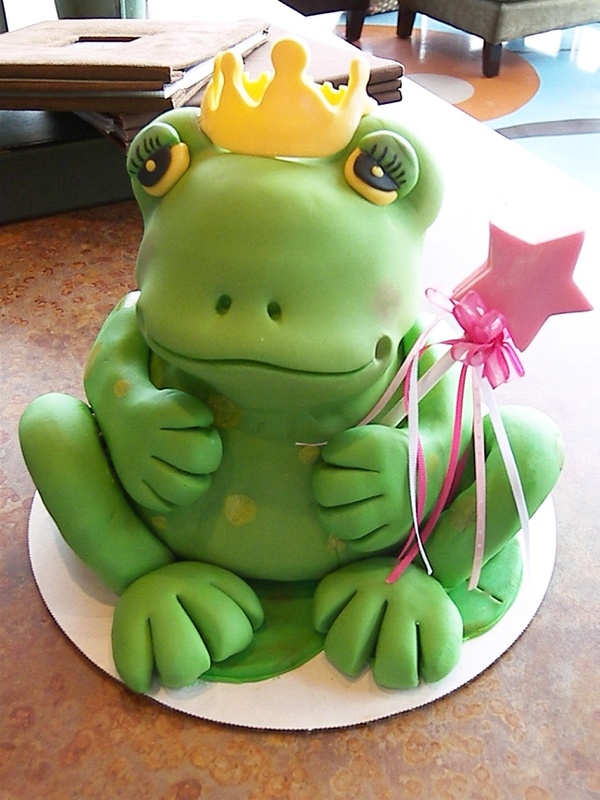 Personality truly comes out in these adorable frogs! Top two layers made to look like a boat. Handmade fondant figurines. Buttercream frosted base layer. Iced with buttercream, decorated with fondant. Iced with buttercream, decorated with fondant. Legs and arms made with licorice. 9" cake layer base. 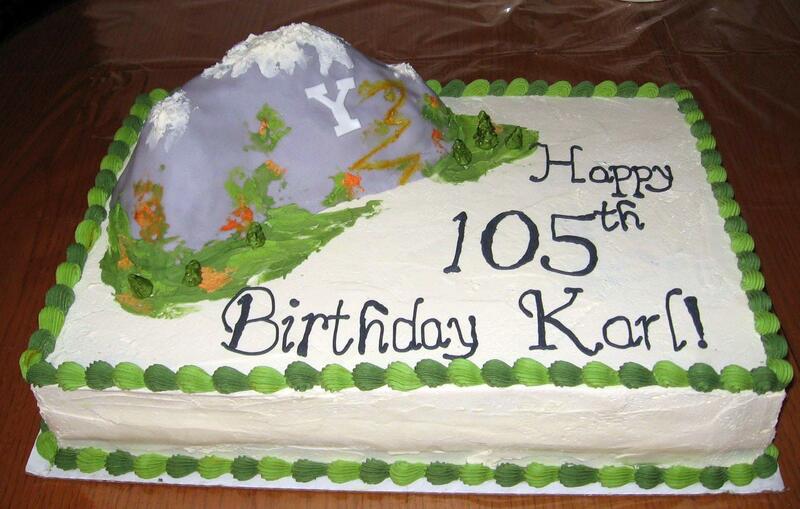 10" cake layer made into tent shape and covered with fondant. Handmade fondant figurines. 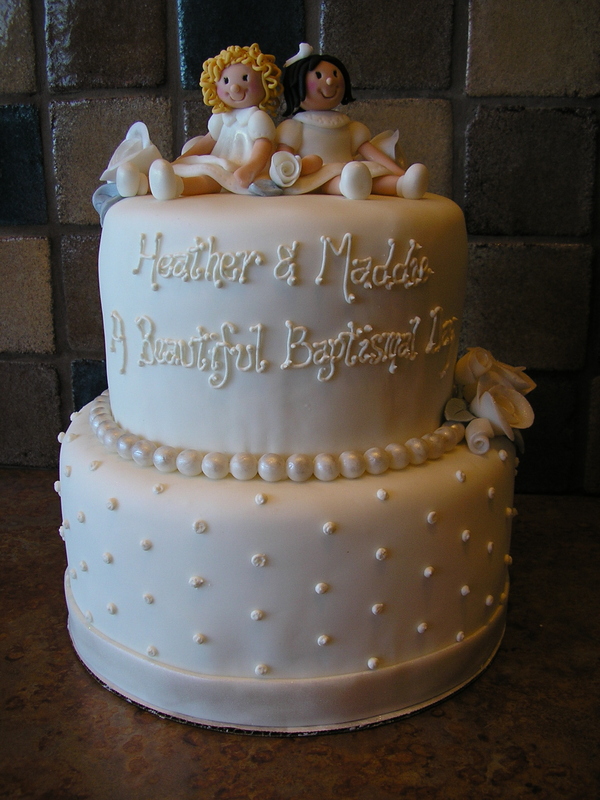 Covered fondant and decorated with fondant figurines, roses, and pearl dusted balls. 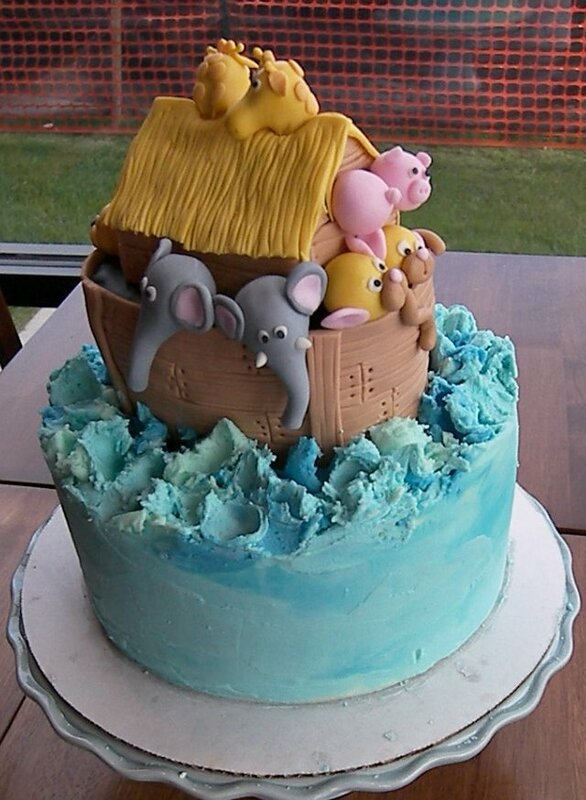 Iced with buttercream, decorated with fondant. Matching cupcakes. Iced with chocolate buttercream. Decorated with fondant and dusted with gold luster dust. Iced with buttercream, decorated with fondant dots and leaf petals. Licorice antennas. Iced with buttercream. 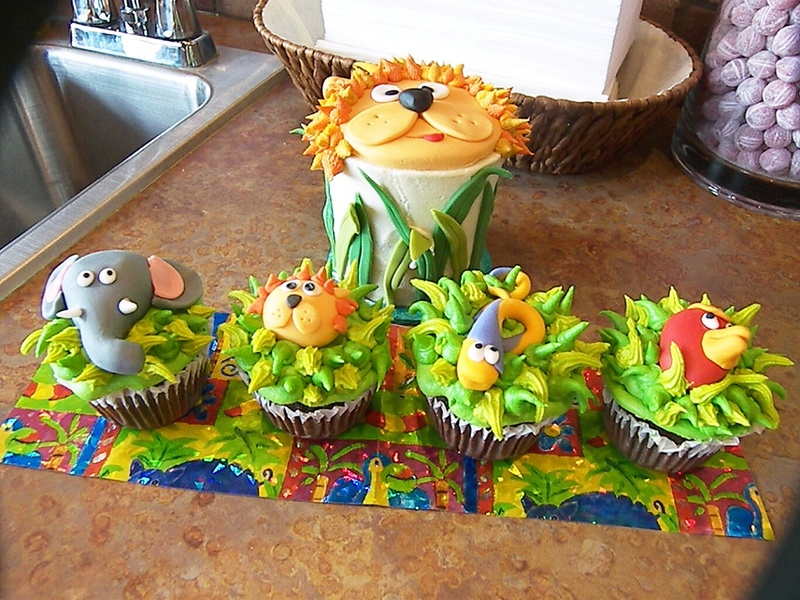 Figurines made from fondant. 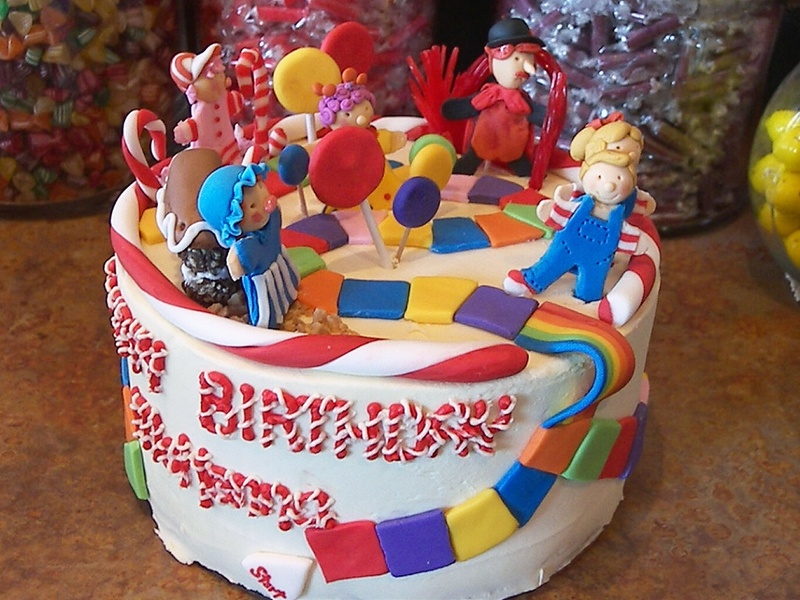 Iced with buttercream, decorated with fondant and candy. Handcrafted fondant figurines. 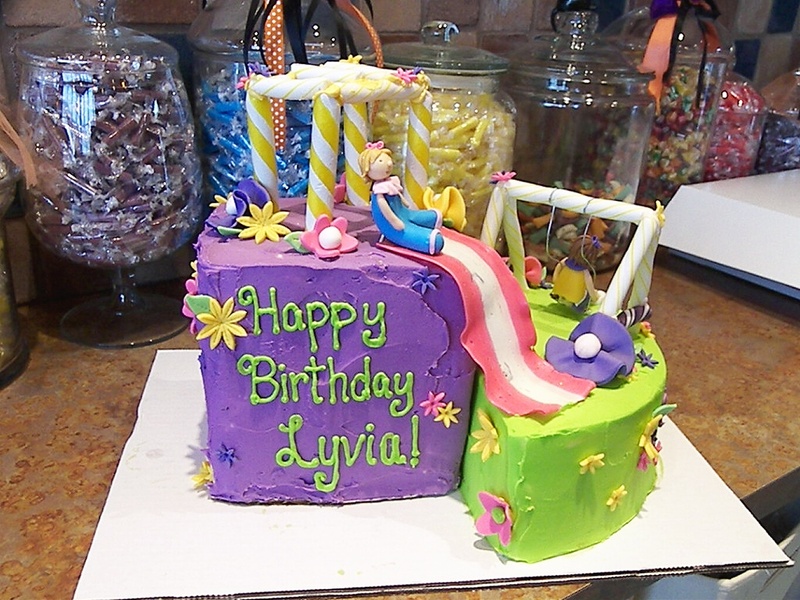 Iced with buttercream, decorated with fondant. Girl figurines made from fondant and candy. Matching cupcakes. Covered with fondant. Handpainted diaper design done with food coloring. Safety pins and bow made with fondant. Themed after little boy's favorite book. Iced with buttercream. 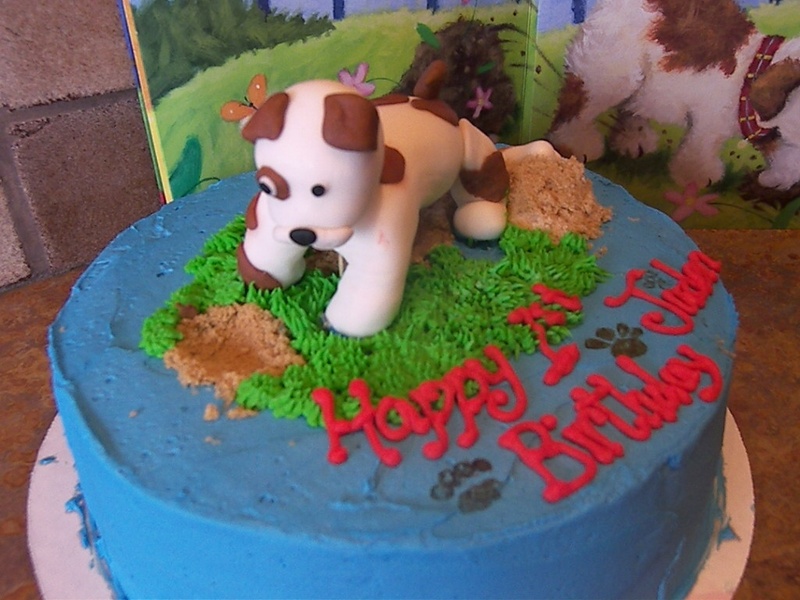 Decorated with fondant dog, buttercream grass, and brown sugar. Handpainted dog prints done with food coloring. Iced with buttercream. Decorated with fondant figurines and eyeball. 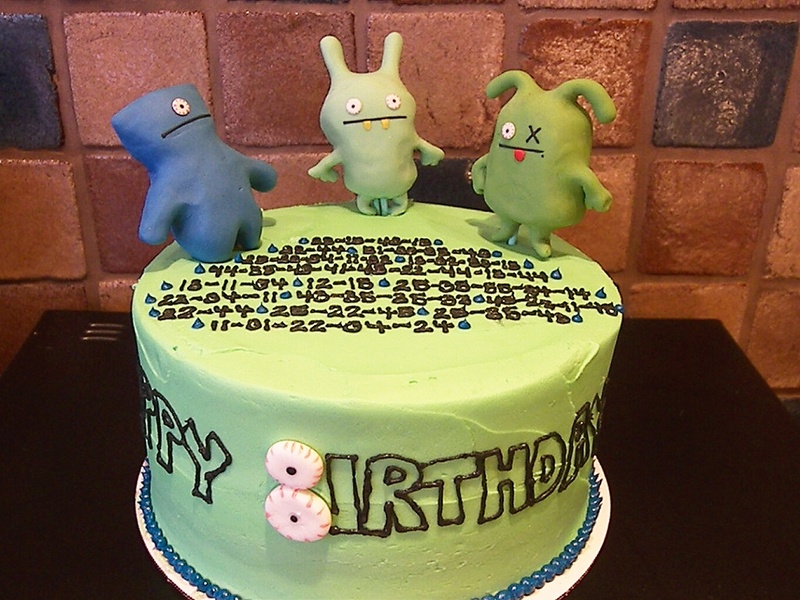 Buttercream numbers to indicate a coded message to the birthday boy. Iced with buttercream. Decorated with fondant, buttercream, and sometimes sprinkles. Iced with chocolate buttercream. 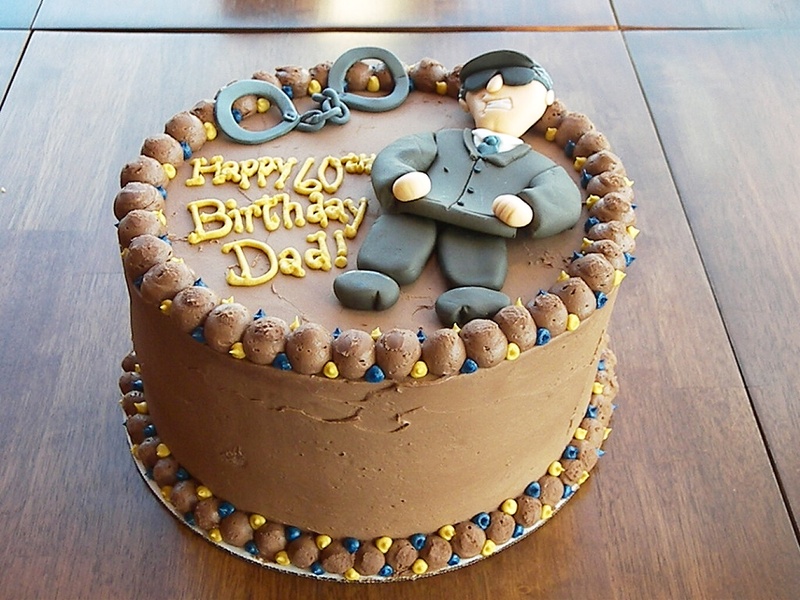 Handmade fondant figurine and handcuffs. Buttercream border and writing. Iced with buttercream. Fondant girls, and candy playground toys. 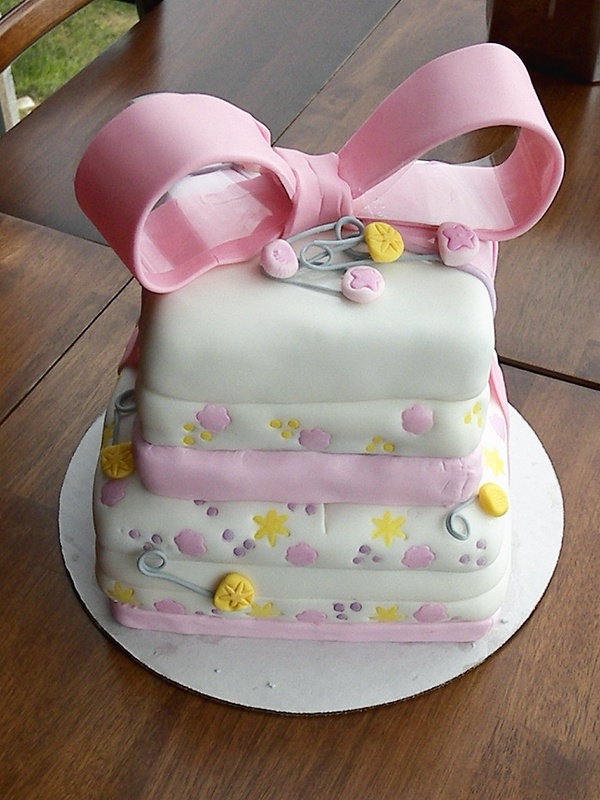 Decorated with fondant flowers. Iced with buttercream. 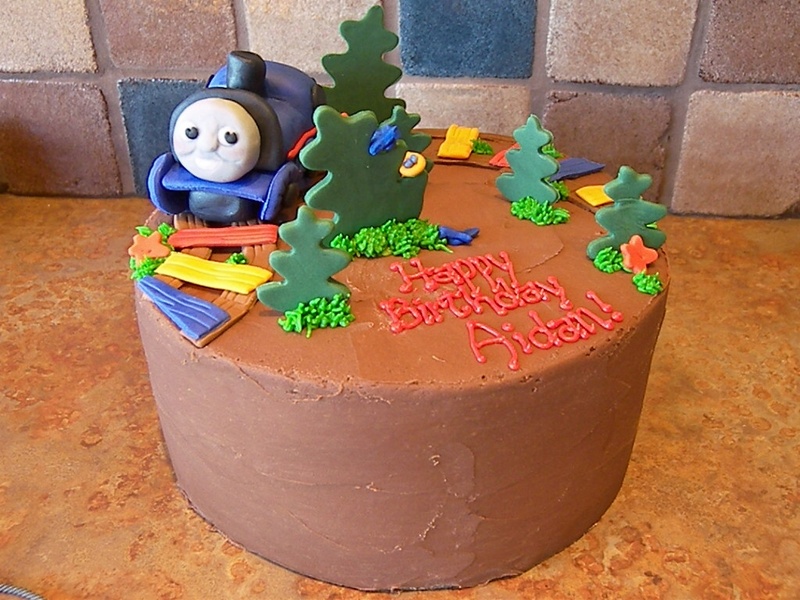 Decorated with fondant Thomas, trees, and railroad track. Buttercream grass.